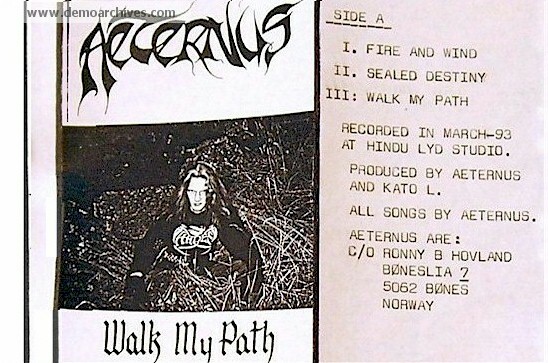 Aeternus was formed by Ares in 1993. 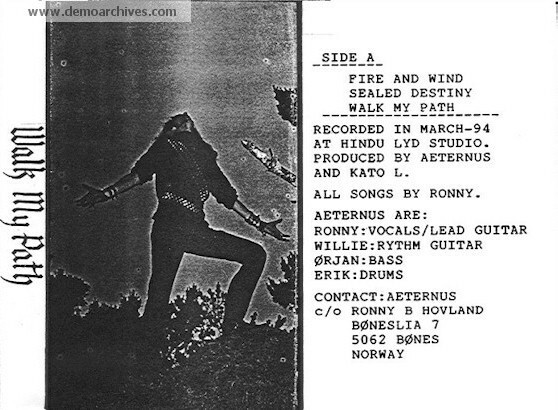 The band is located in Bergen/Stavanger, Norway. Fast, aggressive, intense and brutal, yet calm and beautiful at times. 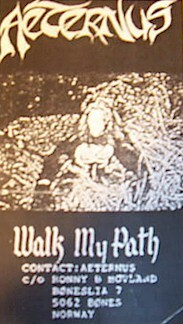 In 1994, Aeternus released their one and only demo: "Walk my Path", which sold around 400 copies in the underground scene.